"I'm just going to disappear." A social media expert named Marinda Holtzhausen is crediting the popular YouVersion Bible app with very literally helping save her life, saying the app came to her aid at a desperate time when scripture was her only solace. “I’m just going to disappear,” Holtzhausen recalled thinking in the midst of her deepest depression after suddenly losing 80 percent of her sight amid a health crisis that began in 2014. In fact, Holtzhausen felt so depressed at the time that she considered overdosing on her insulin. The marketing expert from Philadelphia, South Africa, told Faithwire in a recent interview that her serious and life-altering health woes began after a trip to India for a marketing road show back in January 2013. After she mysteriously returned home quite sick, it took doctors nearly a year to diagnose her with tuberculosis. But that was only the beginning of her harrowing ordeal. What proceeded was a medical crisis that left Holtzhausen beside herself, as she desperately tried to cope with losing the majority of her vision — a plight that put her job at risk and left her unsure of what her future held. Before suffering blindness, Holtzhausen was already quite familiar with the YouVersion app, as she had used it on her cell phone periodically, saying she “fell in love” with it immediately after discovering it on Google and downloading it. While the Bible app’s audio reading capabilities were there to comfort Holtzhausen during her time of need, she nonetheless hit some major roadblocks in August 2014, when a doctor told her she would never see again — a blow that dashed her hopes and deeply impacted her view of the future. Holtzhausen had always had a very strong faith, but the plight of losing her sight rocked her to her core. She recalled pledging to herself that she wouldn’t enter 2015 blind, pondering if she could simply “overdose” and “disappear” — but her attendance at a church service just weeks after she was told she’d never see again ended up transforming her perspective. As Holtzhausen sat in the pews at that healing service, she again prayed to God, asking if he had heard her desperate pleas to him. It was there — amid her deepest, darkest moments — that something instantly changed her dire outlook. “I got to the church service and sat at the back … the pastor was from America and he immediately started,” Holtzhausen explained, noting that the preacher openly spoke about the issues being faced by various people in the congregation. She quickly noticed that he was sharing some very personal plights, though he knew none of the people in attendance personally — something she found compelling. Then, he came to her story, sharing details about her eye condition that she said he couldn’t have possibly known. Holtzhausen believes God, in that instant, used that pastor to answer her question about whether he hears her. Now, “without a doubt,” she believes God is there for her and can hear her concerns. Newly encouraged, Holtzhausen forged on after that church service and found a doctor willing to operate. And, once again, the Bible app came in handy. Holtzhausen had to lie on her back for four weeks after one of her surgeries, and she again credited the Bible app with helping her through the ordeal. And thankfully, Holtzhausen hasn’t wavered in her newfound hope and trust. Due to her persistence — and through repeated treatments and procedures — she has now gained back 50 percent of the sight in her right eye and the remaining 20 percent remaining in her left eye will soon be increased to 80 percent. “I live my life by faith and not by sight,” she said. 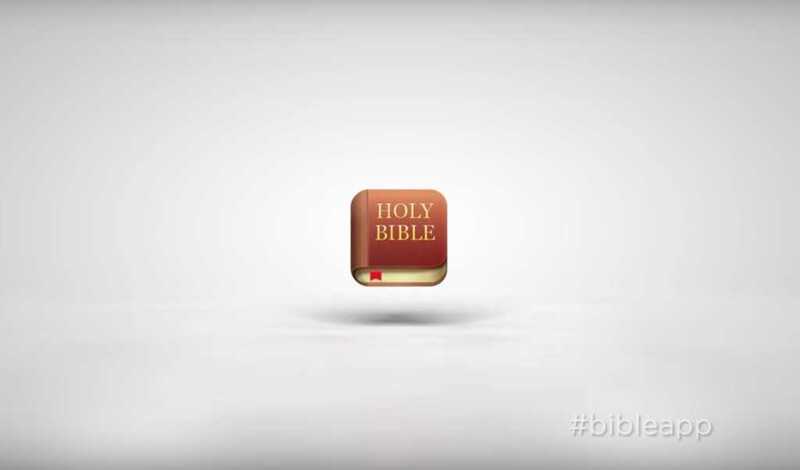 The YouVersion Bible app recently crossed 250 million downloads. You can find out more about it here.